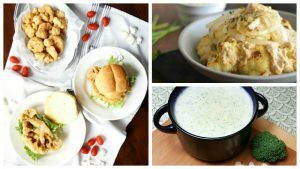 Isn’t this mashed cauliflower fun? 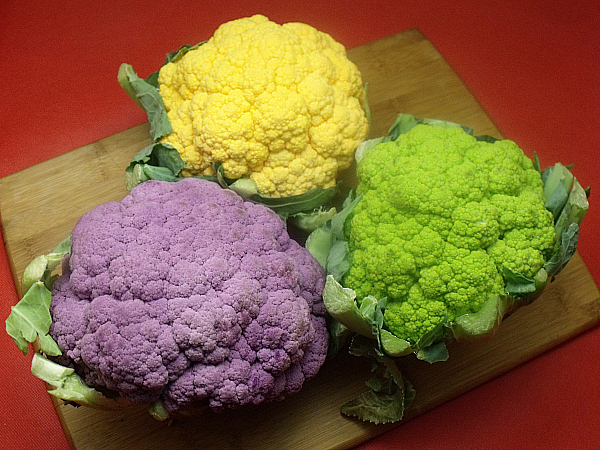 Besides the fact that cauliflower looks pretty in colors other than the usual white, each color has different nutrition. It’s important to eat a variety of colors each day! 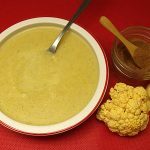 I love cauliflower, but the first time I had mashed cauliflower I was sadly disappointed. The texture of plain mashed cauliflower didn’t seem right to me and I wished I had been served mashed potatoes instead. I learned a little trick that gives mashed cauliflower the texture I like. 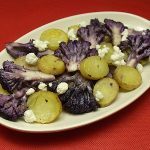 I add potato for a smoother texture and still get the nutrition and taste I want from the cauliflower. This recipe is great anytime, but is especially fun for an Easter dinner due to the pretty colors. 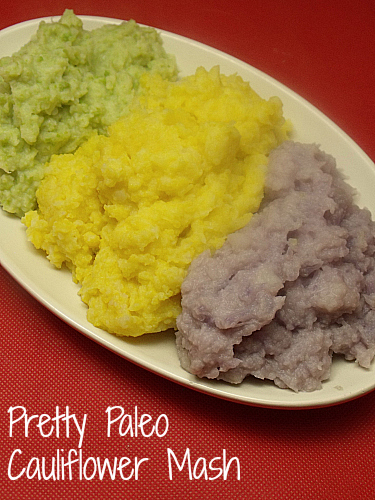 Each color needs to be prepared in a separate pan, since the colors will bleed as they cook. 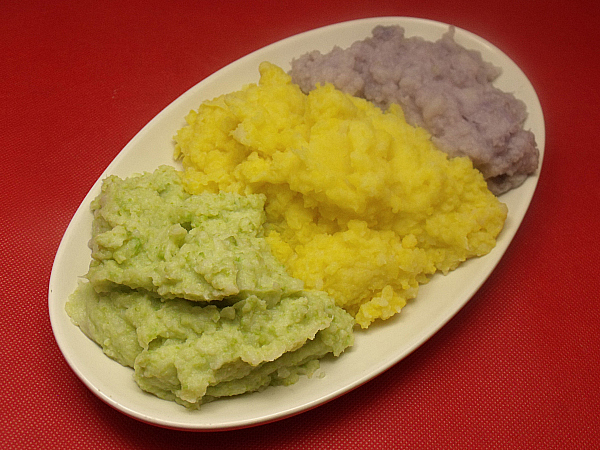 Repeat these instructions for each color of cauliflower. Remove leaves and stems from cauliflower. Separate into florets. Fill saucepan 1/2 way with water. Add cauliflower, potatoes and salt. Bring to a boil and cook for 8-10 minutes until tender. Drain most of the liquid from the mixture. Mash by hand or with an immersion blender. Add additional salt, if desired. 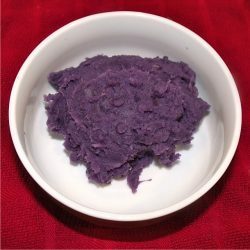 Purple Mashed Potatoes ~ Yes, Please!